A problem I see often is athletes who dismiss the importance of a proper warm-up and none other come to mind more than pitchers. All too often pitchers throw to warmup instead of warmup to throw. This is still a huge problem in my eyes at all levels of play. Too often I see young athletes do no warmup prior to competition and begin their throwing program to warmup for their bullpen work that will precede their game. For years with the Angels as well as at the collegiate level, I watched starting pitchers do maybe 2-3 min of static stretching and a couple of jogs back and forth and then start throwing a baseball at 60 feet. What was even more annoying was on days they didn’t start they warmed up with the rest of the team, which usually included a thorough dynamic warmup. It has never made any sense to me that on the days they didn’t play the were more warmed up than the days they actually performed their sport. I’ve even seen pitchers warm up MORE for their running program on their “off days” at the professional level than they would for a start. When I would bring this point up to coaches they would always answer with “They’re on their own. They know what they need. It’s whatever they usually do.” The problem becomes that many of these kids come from an unstructured program at the high school level, so they just do what they did prior to games in when they were younger. Our pitchers have their general and specific warmup prior to stepping on the mound. If an athlete was going to do a squat max in the weight room, virtually every coach would have that athlete perform some sort of general body warmup. From there a lot of coaches would move to something specific for the hips such as hurdles, various hip mobility drills, etc. Then they would start working with the bar and adding weight to continue to get warm before they ever attempted heavier lifts. We utilize the same concept with our throwers. Our day always begins with our 13-15 minute dynamic total body warmup. Our starting pitchers have their own detailed warmup prior to starts as well but this what we call our general warmup. It is more specific for our starting pitchers but still very general in nature. We start at the hips creating movement in all planes from front side to the back side. From there we will move into our thoracic spine progressions. Towards the end of our warmup we move up the kinetic chain to the glenohumeral joint and create warmth and mobility here. Our kids are sweating heavily by the time our warmup is completed. 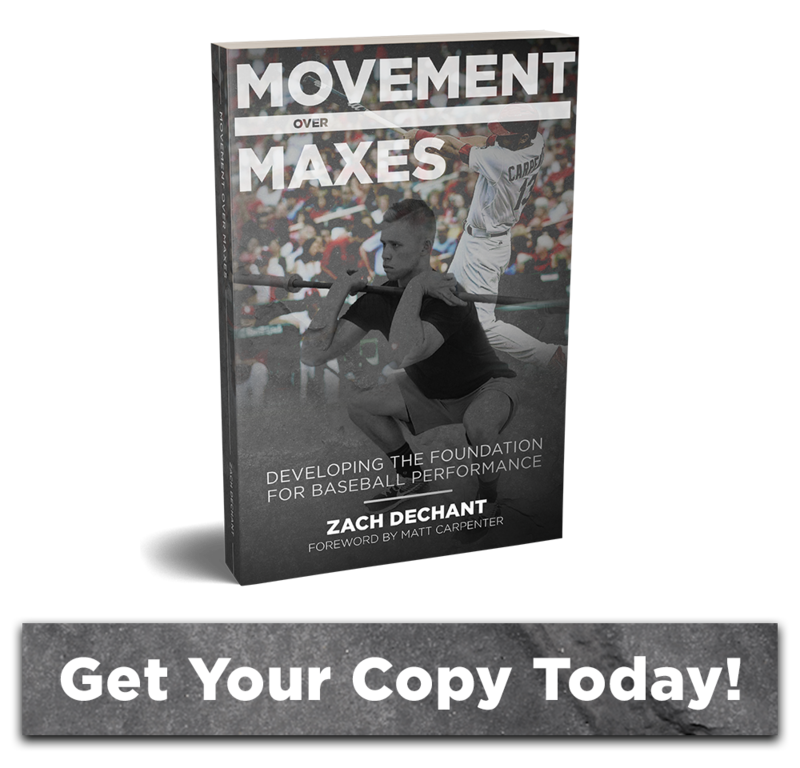 With the recent popularity of bands programs such as Jaeger Bands, Crossover Symmetry, and the like, it has given pitchers something specific to do prior to throwing. This has been a great addition to many programs. I like the bands and we utilize bands here at TCU for our specific preparation prior to throwing. Once our general body warmup is finished we move into our specific warmup which is where our band work comes in. Everything is warm and now our kids can begin to bring their hourglass focus into their arm and shoulder. Our general and specific warmup is a series that our athletes do every day they step onto a baseball field. Create warmups for your athletes based around their movement, and velocity needs. When we began implementing this concept 9 years ago with our staff it wasn’t uncommon to see our starting pitchers velocity up by 2-4 mph. Our pitchers weren’t preparing their body for explosive movement, high speeds, and large ranges of motion. Even though they had thrown for 15-20 minutes their bodies were underprepared in our eyes for what they were asking it to do.